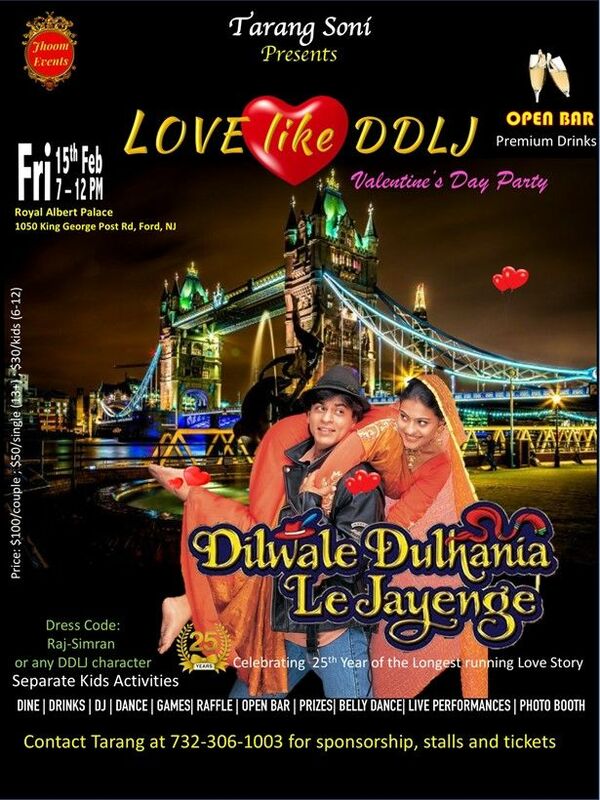 Please note LOVE like DDLJ - Valentines Day Party occurred in past. 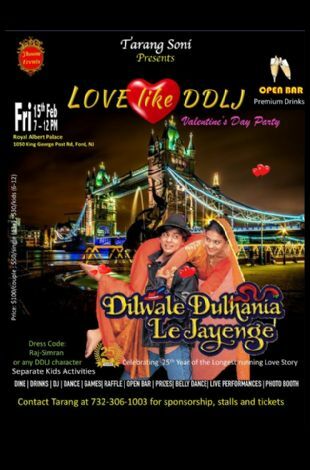 As always Jhoom Events came up with some thing new in New Years and would like to invite you all with open heart and love ' for the celebration of love ' Valentine's Day party .. 'LOVE LIKE DDLJ'.. This year enjoy the fragrance of love which will be floating all over and the best theme of all time DDLJ is going to rock the season ..!! As always JHOOMEVENTS brought to you an awesome theme based Valentine's Party .! !